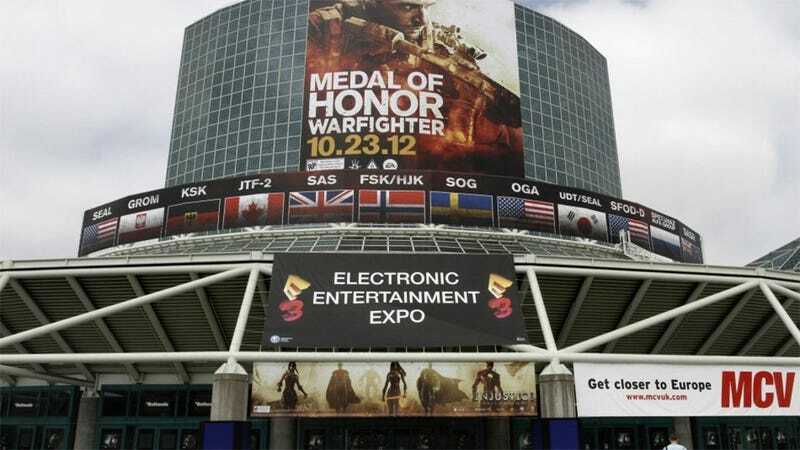 After filling the heads of game journalists everywhere with dreams of an Electronic Entertainment Expo taking place somewhere else for a change, the Entertainment Software Association crushes our hopes and dreams for three more years. Having teased E3-centric news on Friday, I spent the better part of the weekend dreaming up where next year's E3 might take place. Maybe it would return to Atlanta, and I could commute from my home. Maybe they'd take on Vegas, where the prime rib flows like water and tastes...like water. It's not very good prime rib, but that's not the point. Maybe they'd hold it on the moon!